The major household concern during monsoon is that of drying wet clothes. Agree? Most of us prefer to dry clothes inside the house. Drying a couple of garments inside the house is easy and sounds manageable. However, the fact is that your entire house is filled with clothes which are not good for your health. Wet clothes not just increase the level of humidity in the air within the house but are a breeding ground for fungus, molds and so on. Closed spaces with a high level of humidity could lead to respiratory issues such as sinusitis, pneumonia and other allergies, especially in infants. This cloth drying hanger is a product by a brand named Rigga from Sweden and is a great way to dry your clothes quickly. 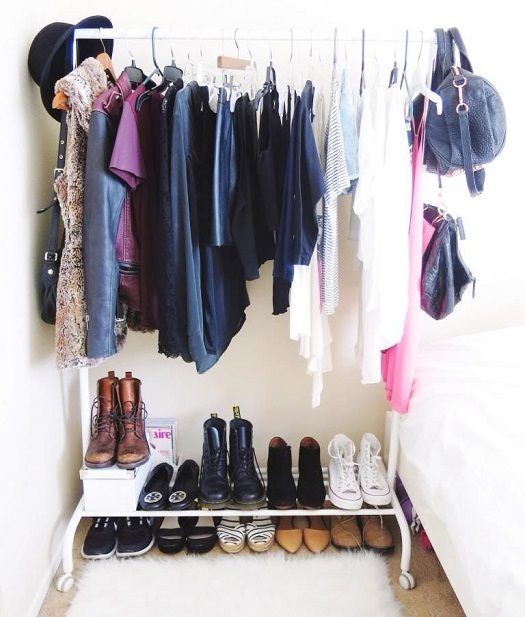 Place your clothes on a hanger as you would while hanging the clothes in your wardrobe. 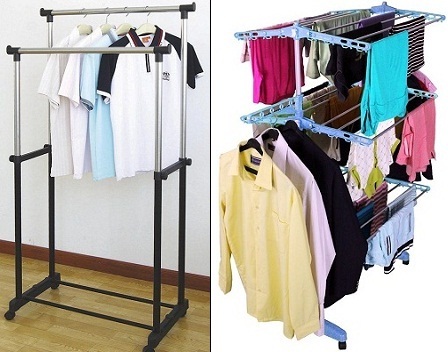 You can easily adjust the height of the hanger to suit your needs as the clothes rack can be locked in place at 6 fixed levels. There is room for boxes or 4 pairs of shoes on the rack at the bottom. 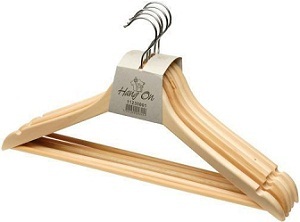 This hanger helps your clothes dry faster as they are placed at a distance and come in contact with the breeze. Let the freshly washed clothes dry in the bathroom first so that the excess water is dripped out. This will make them partially dry before getting them to a place where they can be dried further. Place them below the hanger (in #1 point) and allow them to dry under the ceiling fan. Also, make sure you leave the windows open to maintain a flow of fresh air. For those of you who use a washing machine can use the drying feature twice for quick dry. Another concern with regards to drying clothes during monsoon is the stale smell caused by moisture. Light some 'dhoop' in the corner of the room where you have placed the hanger. The dhoop fumes also contribute in drying the clothes and leave a nice fragrance. Don't place it near the clothes. Lastly, keep the windows of the house open especially when the sun comes out. This will allow sunlight to enter your house and disinfect the surroundings as the ultraviolet rays are known to be an organic disinfectant.